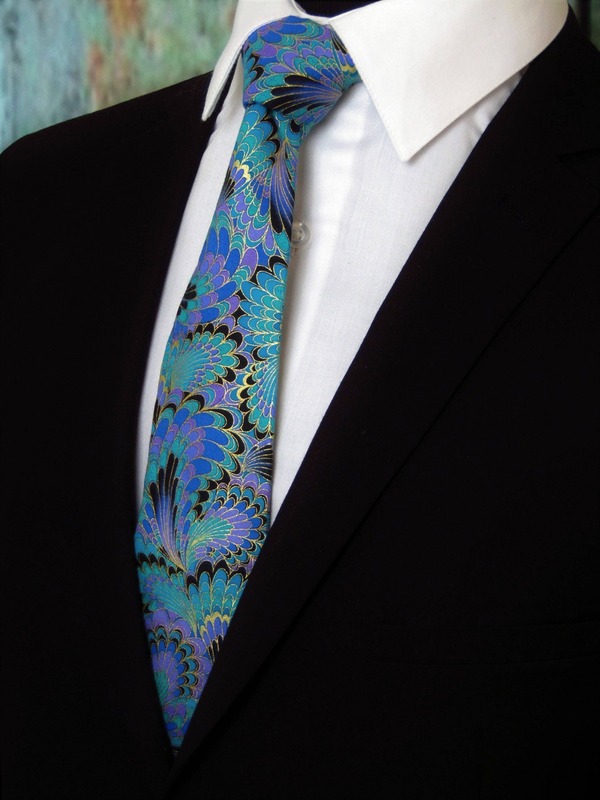 This peacock feathers necktie is amazing and features many colors: Green, Blue, Purple, Black. Gorgeous colours! Thanks so much. Immediate customer service. 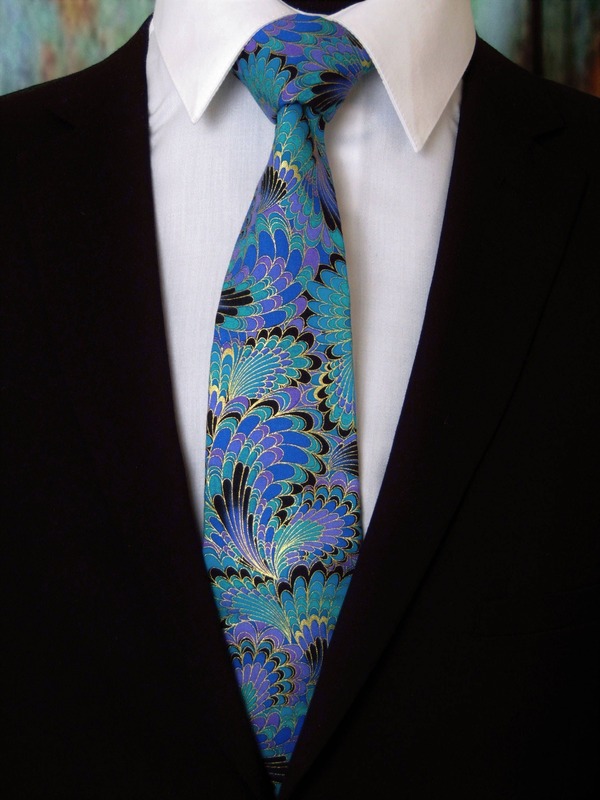 The ties look exactly as they do in the photos. High quality material. Speedy delivery.